Monolithic Dome is thin wall reinforced concrete shell structure. The structure provides safe shelter for the people in the area with hurricanes and earthquakes. This technique is an effective alternative to conventional methods. A Monolithic Dome is a structure cast in a one-piece form. A curve rotated about a central axis to form a surface, creates a Dome. Monolithic domes are not only unique and eye catching, but studies have shown them to be exponentially energy efficient. They use 50% less energy than traditionally built structure of similar size. Airform Kits – The air form kit was obtained from monolithic constructors, Italy. The kit consisted of a 40ft diameter form along with reinforced steel anchors. It is ordered in the shape of half sphere. Polyurethane Foam– Sprayed on polyurethane foam insulation was of type using a part process in which Diaphenylmethane-4, 4-di isocynate was mixed with blended polyol resin. Reinforcing steel – Steel in the foundation and slab was 5/8 inch and grade 40 rebar. Dome shell 13mm and 9.5mm grade 60 rebar was used. Concrete – Foundation and slab a standard sack concrete foundation mix was used. Concrete used in the dome shell was 9 sack per cubic yard mix. Lay down the foundation of the dome, usually made of reinforced concrete. An air form or fabric is inflated over the foundation. Poly urethane foam is then added to the inside of the form. Special clips are affixed to the foam interior, and rebar is installed. Finally concrete is poured over the air form, rebar, and foam supporters and dome like shape emerges. Monolithic Dome starts as a concrete ring foundation. Continuous reinforcing bars are embedded in the ring beam foundation. The ring creates a solid base to construct the dome. Made of tough, weather -impermeable material. The air form is inflated with dual inflator fans. It determines the final shape of the dome. Foam is applied in the interior to stiffen the air form, and provide a secure surface to which reinforcement bar is affixed. It get hardens and creates a superior insulation layer. Steel reinforcing rebar is attached to the foam using a specially engineered layout of hoop and vertical steel bar. Small domes need small diameter bars with wide spacing. Large domes require larger bars with closer spacing. 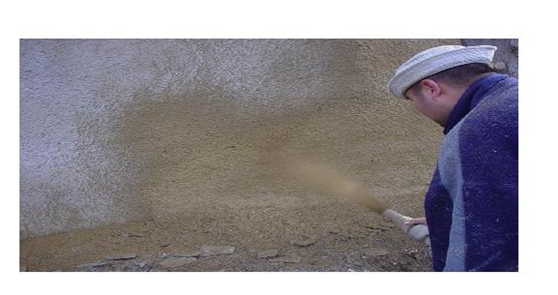 It is a special spray mix of concrete, applied to the interior surface of the dome. 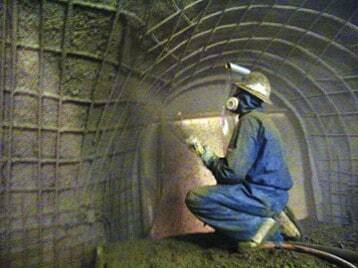 The steel rebar is embedded in the concrete and when about three inches of shotcrete is applied. 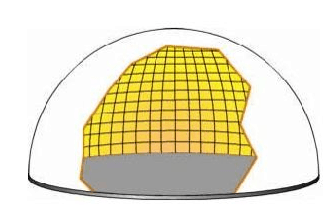 The profile of a dome determines the size of its surface area or dome shell, and the amount of surface area affects the construction cost. The surface area of hemisphere dome is twice that of its floor area i.e., 2*pi*radius*radius. Most of the monolithic dome have an oblate ellipse profile. Surface area is double the floor area. Useful for high-volume storage buildings and smaller structures ,such as homes. Most volume for the least floor area. Used for water tanks, storage buildings, homes etc. Very efficient for single structures. Wall have maximum vertical slope vs. structure size. Useful for bulk storage and buried building. Lower the profile the less expense. Windows and doors on the second floor can be augmented. The caterpillar is great design . It can span 60 feet wide , 300-500 feet long. It is easy to build and allow for linear functions. Cost of a dome is less. Streamlined construction process and use of only four ingredients contribute to the domes economy. Ability to survive tornadoes, hurricanes and earthquakes. Any structure appears bare and unattractive when its first built. But just as enhancement can soften and beautify straight lines and corners. Only specially trained construction crews. Wasted space in narrow corners. Different appearance of the domes decreases the appeal for their use as private residences and the strange appearance and design may run afoul of neighborhood building covenants. Depending on the situation a large variety of variations available from the standard circular shape can avoid some of these problems. Building permits may be difficult to obtain if local officials are not familiar with the monolithic dome. 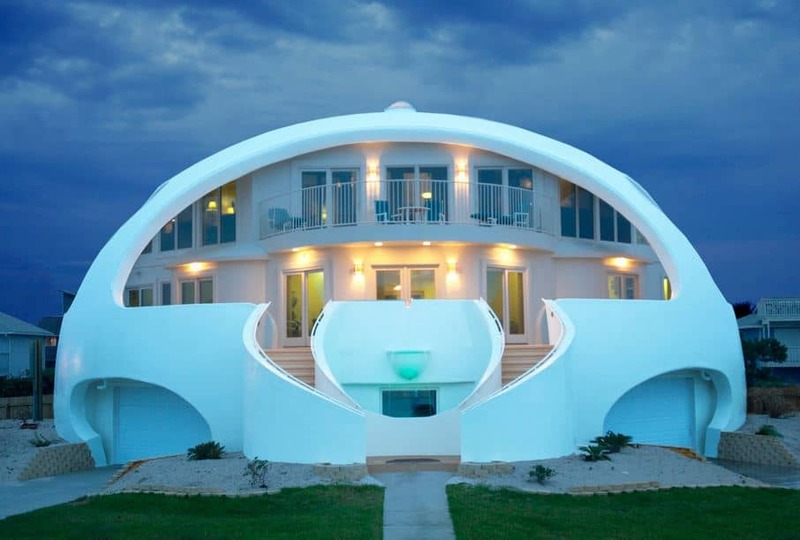 Resale of a monolithic dome home may be difficult because of its unconventional appearance. 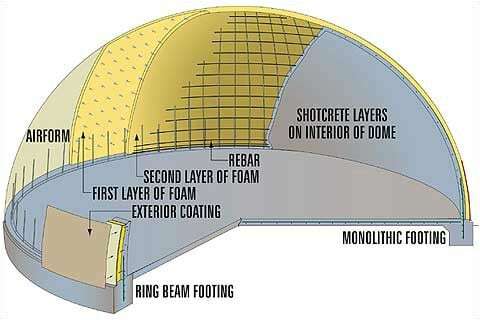 Monolithic Dome building technique is an effective alternative to conventional methods. 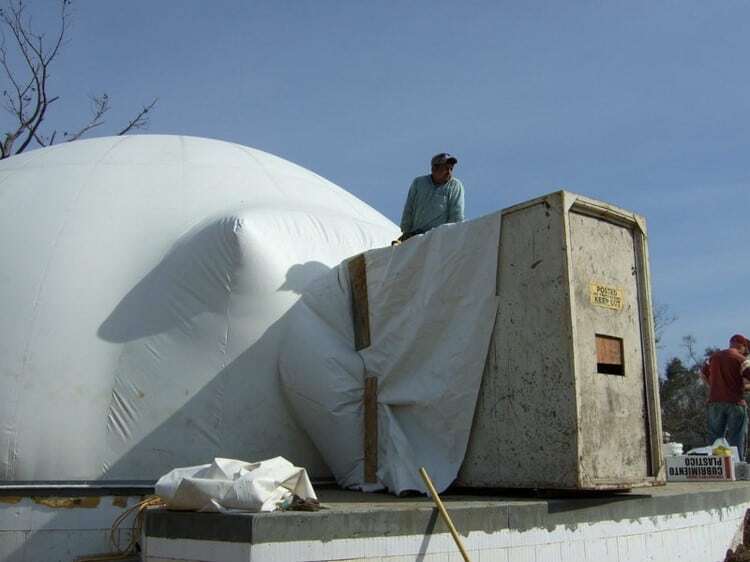 Monolithic domes are disaster -resistant, energy efficient and cost effective. Safest buildings that can be built and can be designed for many uses. Monolithic domes are designated as tornado shelters. Monolithic domes are used throughout the United States, Russia, and Indonesia.